So you pull up to a big obstacle all ready to take it on, you turn on your ARB compressor, turn on your front and rear lockers, attempt to start climbing it… struggle… and then your spotter yells out, “YOU’RE LOCKERS AREN’T ON!” Or, you turn on your lockers and all you hear is your compressor buzzing away while pumping a whole lot of air into thin air. A common scenario that every ARB locker owner has experienced at least once and it’s a reason why some steer clear of them and that’s a shame being that when they work, ARB’s work well and are really strong. 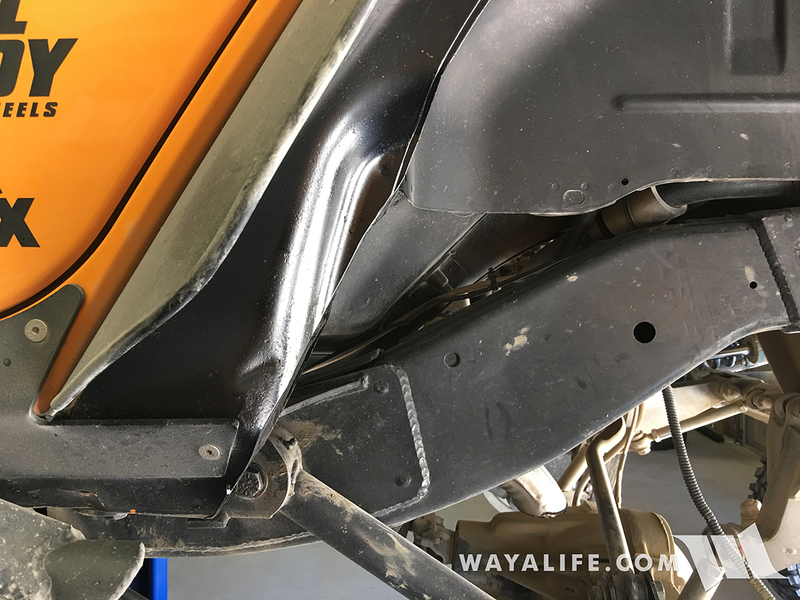 The biggest problem with the blue plastic ARB air line that comes standard with their lockers is that most people route them too close to the exhaust or other engine component that gets really hot and that causes it to melt. Or, they run it next to something sharp and movement allows it to chafe and get cut. Then, there are some who run the line through the frame rail thinking that would protect it but of course, the exhaust runs right along side it and it can get hot enough to melt the line as well. With a severed line, your compressor will just keep on running and that makes it easy to figure out what’s going on. Of course, more times than not, the line will just melt causing the line to pinch off and when this happens, your compressor will still come on, charge up the length of line leading out of it and give you the false impression that your lockers are engaged. This is always the worst being that it can be difficult to track down a melted line especially if it’s run though the frame rail. The solution, or at least what I have found, is to install a set of stainless steel air lines. They aren’t cheap but ever since I started running them, I always have lockers and I have yet to have a problem with them. They are durable, resist chaffing, difficult to cut and can handle a greater amount of heat. 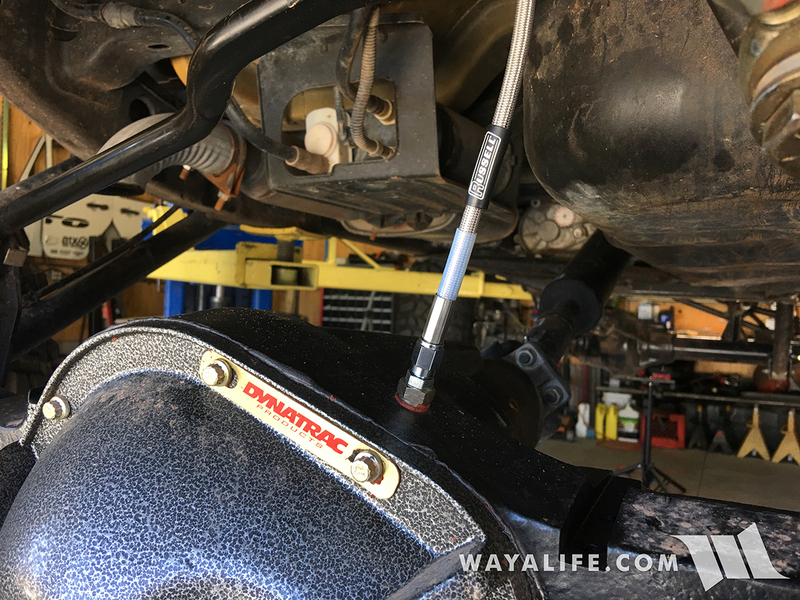 Naysayers will tell you that the standard blue plastic ARB air line is easy to repair but to that, all I can say is that I have yet to have a stainless steel line fail on me.